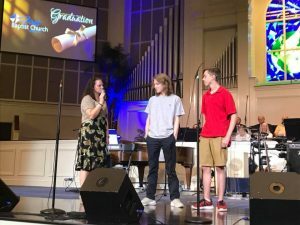 Twice a month we publish a newsletter with notes from Pastor Gregg, Sharon Kidd, Kim Smith, Glenn Toney, Caleb Wigginton and more. There are events listed, need requests, prayer concerns and praise reports. You can receive the updates via our church app or you can find them on this page. We recently moved from our downtown apartment to a more tranquil location. I enjoy waking up to the sounds of birds singing instead of the roar of big trucks and the wail of sirens. But the idea of moving is not necessarily a pleasant thing. In fact, on my list of the top 10 things that I really don’t like, moving has moved up a couple of notches. Let me give you a piece of personal advice. Try to never move in July when it is the hottest week of the summer!!! Let me share with you some really exciting news. Recently I asked Greg Kitzmiller to review our analytics from our web site and our church app to see how many people are viewing our Sunday morning services on Live Stream and YouTube. The results were quite encouraging. We are running anywhere between 75 to 326 viewers on any given Sunday. It won’t be long until our online congregation will outnumber our in-house congregation. Talk about a mission opportunity. We have people watching from all over the world. We thank the Lord for how He has blessed our ministry. This brings me to the reason why we need to go ahead and purchase the new HD Video equipment. This project is as much a mission project as sending a team. Both are important and both deserve our support. Thank you to all who have given. We are close to finishing up this purchase. Continue to pray. In time we hope to be reaching several hundred more people every Sunday. 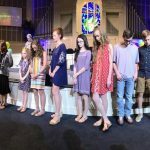 It’s been great to see how our new Student Minister Caleb Wigginton is bonding with our youth and already planning and praying about some great ideas on reaching young lives with God’s love. God is so good to us. We are seeing how the Lord is directing and answering prayers on so many levels. This is a great time to be a part of the First Baptist Family. Blessings! 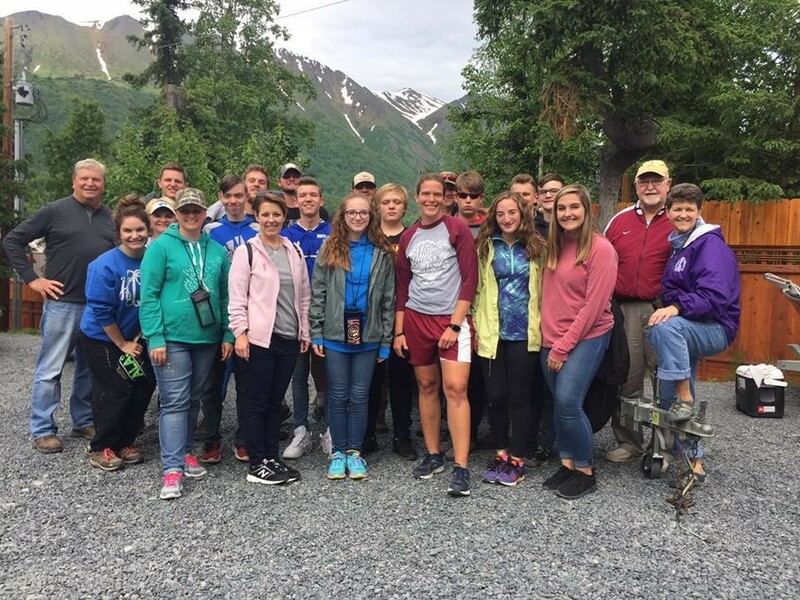 It was only two weeks ago when many of our church family went on a short term Mission Trip to take the gospel of Jesus to Alaska. One of our deacons, Sherry Osborne went to Alaska and before that, to Haiti in June to share Christ there. Kevin Taylor went with his brothers to Vietnam in the spring on a mission trip. All these missionaries will get a chance to tell their stories soon, but to get a preview, ask them their favorite experiences when you see them at church. 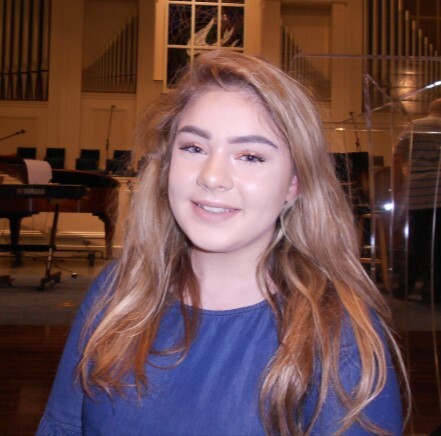 One of our own college students, Kayla Huff is spending the summer helping with the Campus Outreach Service Project in Sandusky, Ohio. 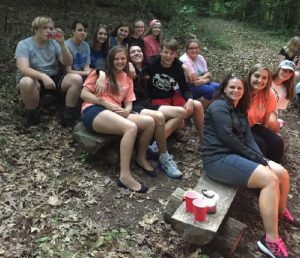 Many more of our youth are now taking part in Mission Fuge, gathering with other teens to provide help with service projects in Louisville. 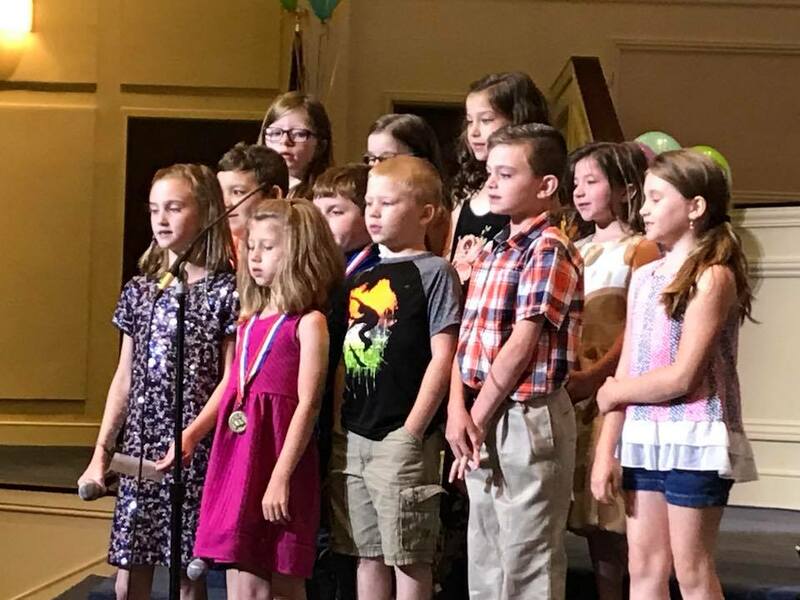 In addition to all of our career missionaries and short term missionaries, we need to pray for our own First Baptist mission opportunities that take place here in Laurel County on a regular basis. I thought of the following groups and I hope you will let me know if I have left any out. Please pray for: those helping with the Homeless Shelter providing meals and food for their pantry, those helping with the Family Night Out meal once a month in our Fellowship Hall, the bus ministry, the outreach ministry of our walking track and gym, the Free for All, the food pan-try, help with utilities of the needy, Come-Unity Co-operative Care filling of bags of food for the elderly each month, the Sunday School classes at Laurel Heights, Laurel Village, and Village Heights, our 4th Saturday Serve, our community-wide all day seminars with Beth Moore and Priscilla Shirer, our Summer Sports Camp for children, our Shoebox Ministry for children all over the world, the Back Pack Ministry, the Angel Tree Ministry, and helping with the Laurel County Life Center. These and other outreach ministries are needing our help and prayers. 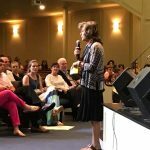 We have been given the most amazing privilege of asking God where He wants us each to give our time and resources to help Him in one or more places of ministry at home and throughout the world. 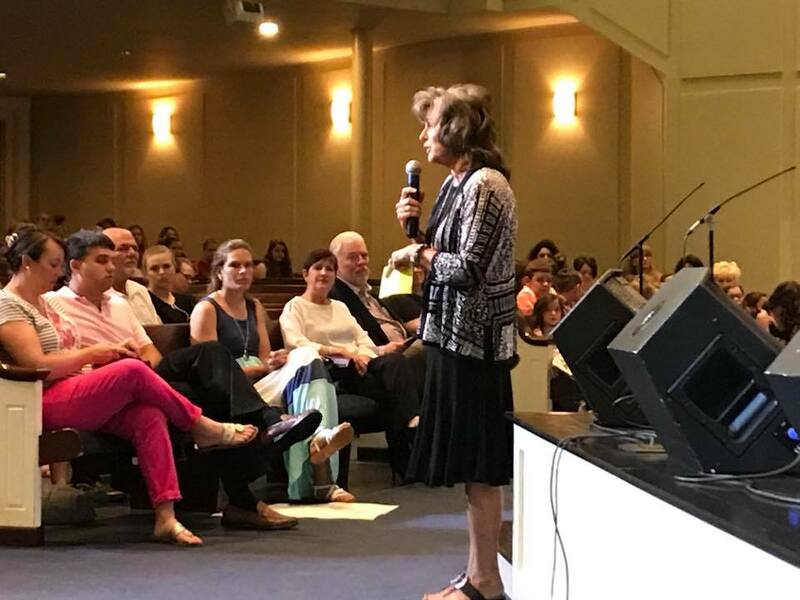 Yesterday my sister-in-Law, Donna Durham Brooks wore a shirt with this reminder written on the back – “People are our Mission”. Our opportunities for missions are as numerous as the people in the world. God will guide us to those who are ready for spiritual seeds and also prac-tical help. Since we are in the ministry of passing our blessings forward, may we all support with time, finances, and prayers the opportunities and people God puts in our paths each new day. I shared with the Worship Team a few weeks back that I read through the book of Proverbs every month. I’ve been doing this for several years and I am always amazed at how the Holy Spirit will show me something different from one month to the next while reading the same verse again. Last month in a sermon, I shared this verse with you: “Guard your heart above all else, for it is the source of life.” The word “guard” stood out one month when I first started reading through Proverbs, and it reminded me to protect my heart from the things in this life that would pull me away from God. A month or two later, “for it is the source of life.” hit me between the eyes! The Holy Spirit was helping me to realize that Jesus lives in my heart, my heart belongs to Him, and He is my source of life in this life. I encourage you to try a 31 day Proverbs challenge. Read chapter 1 on the first day of the month, chapter 2 the second day, and so on. When you get through the first month, I dare you to start over the next month and see what God says to you through the same verses you read previously. You’ll be amazed, I promise. Let me start by thanking ALL the FBC family for being so warm and welcoming as I begin my ministry here in London. I can already tell that our time together will be special. In addition, thanks to all who came on Sunday, July 1st to support me at the reception. The gifts I received were truly a blessing from the Lord and will continue to help me as I get settled. I have written notes of thanks to those who left names, however, some were left anonymous. To those unnamed, I would like to extend a special thank you, your gifts were so appreciated. I am so excited to see what the Lord will do in and through First Baptist London. On Sunday, June 24th, the mission team of 22 returned home from an in-credible stay in The Great Land of Alaska. As one of those 22, I speak for the rest of the group when I say that our time was well spent and greatly enjoyed. We were able to build deeper relationships not only between ourselves, but with the 150 kids who came to participate in the Kenai Sports Camp. The love of Christ was effectively shared through the convenient avenue of sports; basketball, foot-ball, and archery. On behalf of everyone, I thank you for your support and ask for your continued prayers as Christ’s light shines on Alaska. The Student Ministry began a busy several weeks as a group left on Thursday, July 5th, for FCA Leadership Camp at Campbellsville University. 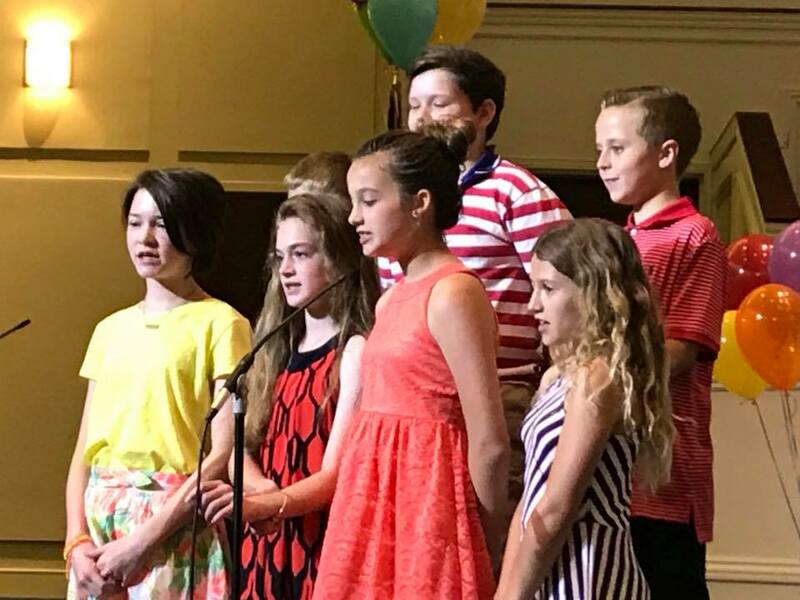 The students connected with fellow believers, worshipped, competed, and learned how to be more effective leaders for Christ in their schools and on their sports teams. 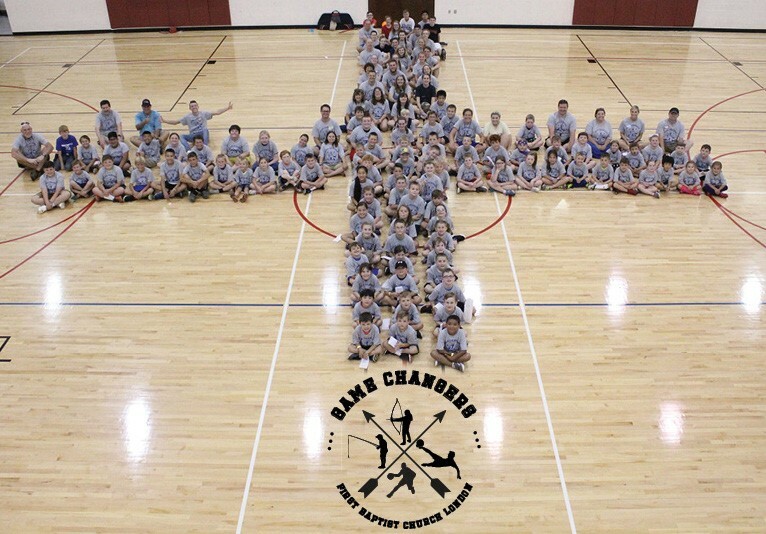 I ask that you continue to pray for LIFE CHANGE… not only for our students but also for the 500+ other FCA campers. We returned from FCA Leadership Camp on Sunday, July 8th, and less than 24 hours later, another group of students headed out for Mission FUGE in Louisville. Through the course of the week the students will be doing mission projects, worshipping, and studying the life of the Apostle Paul in efforts to continue his mission of carrying the Gospel to the world. Again, I ask for your prayers for our students as they continue to be shaped by the Holy Spirit. This seven-week study was written by Anne Graham Lotz and will be lead by Sabra Huff. It begins July 10 and will meet in the JoAnn James classroom. Tuesdays 3 p.m. - 4:30 p.m.
Sarah Bivins is the author and teacher of this four-week class that begins July 11 in the Fellowship Hall. Bring your lunch and join the group! This group meets in the Alathean/Bonoth classroom. 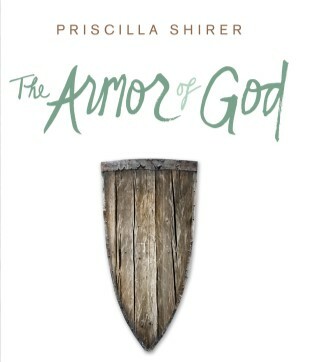 It is written by Priscilla Shirer and is led by Sharon Kidd. The Old Testament Book of Jeremiah is also being taught on Wednesday nights in the Men's Sunday School classroom. The teachers are Joe Allen, Tom Houchens, and Terry Bryant. 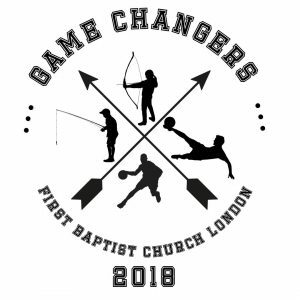 On August 21, 2018, we are excited that FBC London will host an evening of seminars sponsored by the Kentucky Baptist Convention. We hope you will make plans to attend to help with hospitality as well as to take part in one of the programs. Classes will be available for: Church Security, Church Revitalization, Sunday School Direc-tors, Women’s Ministries, Sunday School Teachers, Children’s Ministry, Student Ministry, Campus Ministries, Worship and Music, and Prayer Ministry. 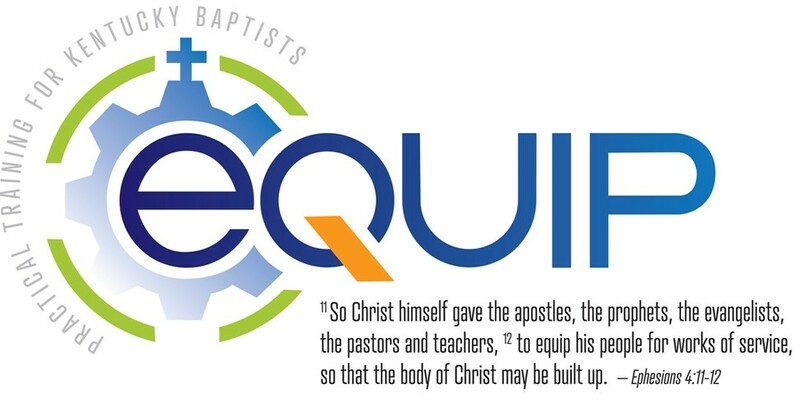 If you are interested in attending, you can register online at www.kybaptsist.org/equip, or call 866-489-3571. The classes will run from 6:30 p.m. – 9:00 p.m. The FBC Deacons have given the following books to the library: Catching the Wind in memory of Bennie Wilder, A Moonbow Night in memory of Louise Walden, and Cherished Mercy in memory of Pearl Taylor. Check ‘em out! 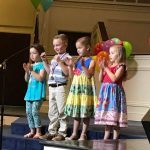 August 1 – Back to School is Cool Wednesdays @ 6 p.m.
Twice a month we publish a newsletter with notes from Pastor Gregg, Sharon Kidd, Kim Smith, Glenn Toney and more. There are events listed, need requests, prayer concerns and praise reports. You can receive the updates via our church app or you can find them on this page. I think everybody loves summer; picnics, vacations, time at the lake and enjoy-ing family outings. I know I like summer even though I’m not a big fan of the high heat. One of the things that happens in church life during the summer is that a lot of things slow down a bit as we take a breather and think about all the things that are coming in the fall. I had a couple tell me this past Sunday that they were so thankful that we had started the Live Streaming of our services. They said even though they were out of town for two Sundays they were still able to “go to church” at First Baptist via Live Stream. They did not want to miss out on church services. This is one reason we want to purchase our own equipment for our media department. I am so thankful to Ken Fugate for the use of all his equipment but it’s time we had our own. The new equipment is so user friendly. If Ken needs to be gone on a Sunday we are going to miss a whole service; no live stream, no DVD to send to the TV station for our local broadcast and no DVD’s to give to people who want a copy of the service. We will be having nothing on YouTube or on our church APP. So, it is critical that we get the equipment as soon as possible. 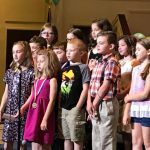 We have $11,000 in the fund but we need another $7,000 to complete the project. I ask that you consider giving to this as an outreach ministry of our church. I’m sure there are many others who take advantage of our media ministry on a weekly basis. So, let’s keep giving so this ministry can continue to do the work God has designed it to do. We’ve just come off a GREAT sports camp. I was really happy to see so many volunteers and such a great group of kids come out each night. Thanks to each of you who helped! Blessings! 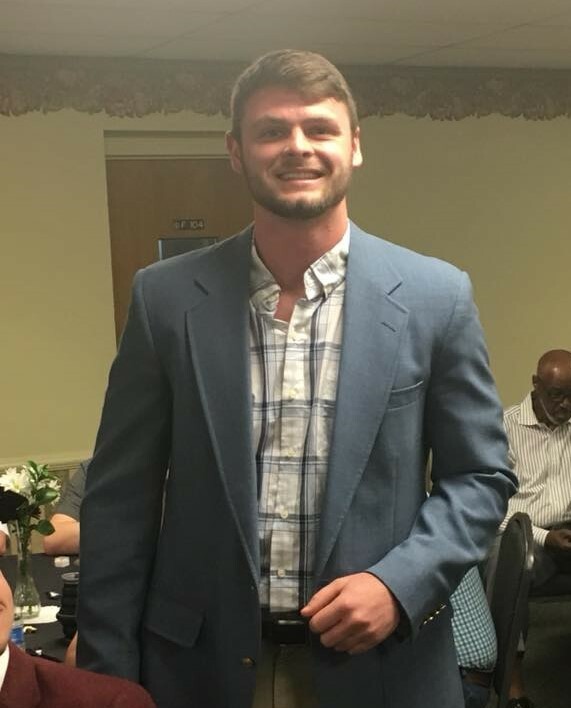 Keep praying for our new Student Minister, Caleb Wigginton. He went to Alaska and he is now settling in here in London. We believe God will use this young man to reach a lot of youth and in turn, their families. Great things are happening and we are seeing God at work on so many fronts. What a great time to be a part of the family at First!!! My Mom loved her flowers. She had roses, day lilies, lenten roses, baptisma, and many others. They were all perennials and came up every year at their proper times. She had baskets in which she would gather the ones she liked best and then bring inside to savor. I like to gather flowers too, but even more, I like to gather bits of wisdom and scriptures that seem to come up at just the proper time. My way is to bring these surprise gifts inside and record them in my journal. Here are a few from my wanderings last week that might be truths you would like to savor as well. The first one came from a young man who came into the bookstore looking for a new Bible with large print. We found one whose color and size fit his needs. 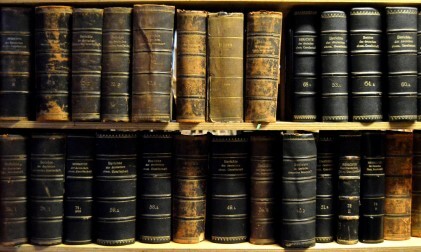 He took it in his hands and thumbed through the pages until he came to the book of Proverbs. 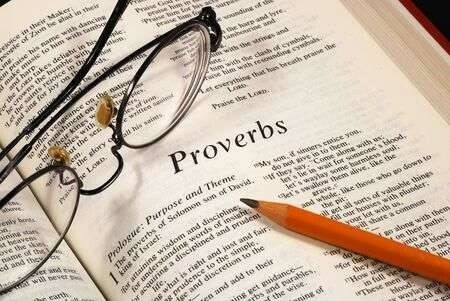 Slowly looking at the chapters there, he said, “I read one Proverb every day. Did you know there are 31 chapters, one for each day of the month? They guide my life.” I was amazed at the wisdom of such a young man. I wondered if it was his grandmother who encouraged him to read Soloman’s words. So I have decided to try on his pattern of gathering a proverb a day and see how it works for me. On Sunday, Father’s Day, I borrowed a DVD from the Public Library entitled “Victoria and Abdul”. It was about Queen Victoria and a young man from India who came to England for a presentation. He decided to stay in England and soon became her mentor. She was 81 years old, still grieving the loss of her beloved Albert, and wondering why God allowed her to continue living when she was ready to be in Heaven. She confided this to Abdul who very gently but firmly told her, God’s purpose for us on earth, no matter our circumstances, is to be servants to those around us; servants in His name. I loved being reminded of this truth on Father’s day, remembering how my Dad, never ceased to be God’s servant, even until the end of his days. He left a powerful legacy and so did Queen Victoria. So, how do we know a statement or line of thinking is true and worth putting into practice? We can ask ourselves these questions: Is it true to Scripture? Do mature Christians agree with it? Does it give me God’s peace and reflect His character as shown in Jesus’ life? God’s wisdom is like a plumb line for right liv-ing. 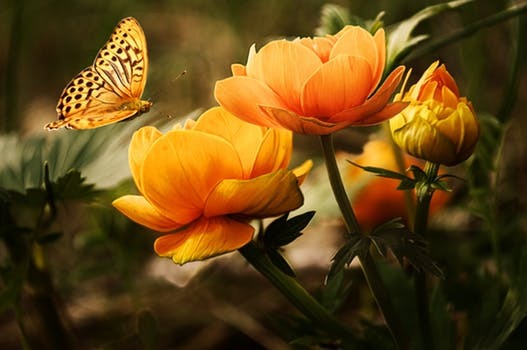 Finding it spoken and lived out in those around us can be like those beautiful flowers that come up year after year at just the right time. May your gardens be plentiful and your days full of God’s words and ways. 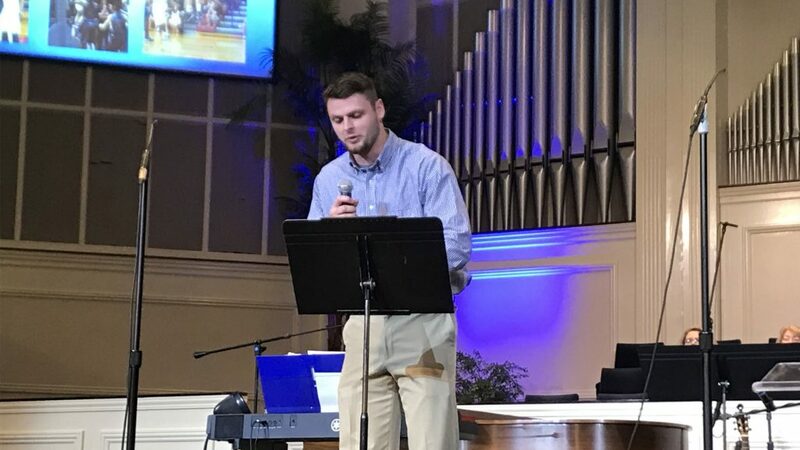 We are excited to announce Caleb Wigginton is joining the FBC Team as Student Minister! A BIG THANK YOU to everyone who gave of their time and talents to make our first Sports Camp a success. It was a great week, the kids loved it and we are already looking forward to next year! I believe it is so important for us to in-vest in the children of our church and commu-nity and I think we did that through this camp. Whatever job you had, big or small, please know that you are very much appreciated! 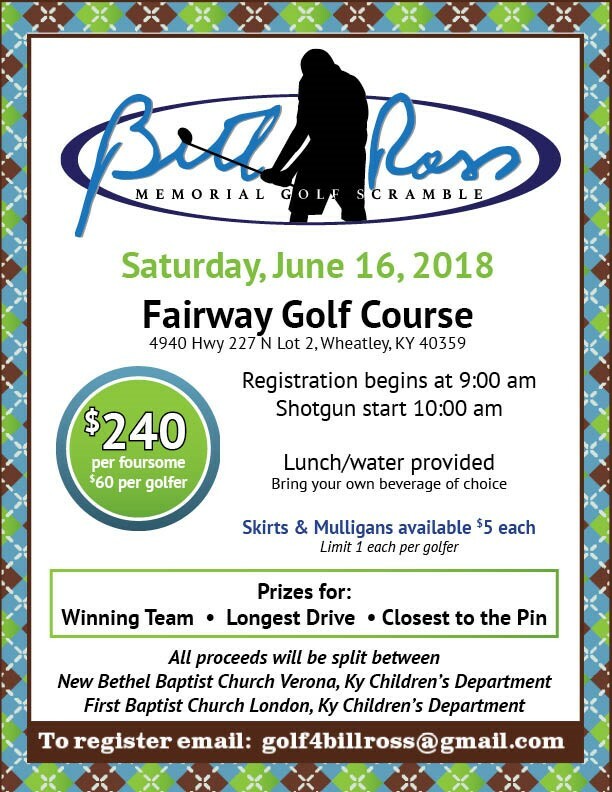 For more information see Susan Fiechter, or stop by the church office to reserve your spot. There will be a meeting for ALL volunteers on Sunday, June 10 @ 4 p.m. in the Fellowship Hall. After Bob and I had dinner, I sat down to watch the news. A preacher was finish-ing his talk before the next show started. He was quoting a poem and it gave me pause because it was about giving to others. So I grabbed a pencil and paper to write down what was left of the poem. “Giving is living and living is giving. You may wonder why you should keep on and how long should you care. ‘Do I have to?’ you say. No, you can stop right there. You know what to do. It wouldn’t be right to keep on giving, if God ever stops giving to you.” It was a direct answer, it expressed what I read in Scripture, and I thought the timing was quite amazing. I still wonder about implementing the right ways to help and how to educate along with giving. But I am certain God has more ideas to pass on that will bring continued light. I looked up the word “compassion” in the Spiritual Disciplines Handbook. This was the definition given, “Compassion means feeling with and for others as well as extending mercy and help to them in extravagantly prac-tical ways. Compassion is part and parcel of sharing in God’s heart for an aching and wounded world.” Here is one of the scriptures that support the spiritual gift. “Be sympathetic, love as brothers and sisters, be compassion-ate and humble. Do not repay evil with evil or insult with insult, but with blessing, because to this you were called so that you may inherit a blessing.” I Peter 3:8-9. I am humbled each week as I come to church and see and hear about examples of compassion from my church family. We have a very loving and giving church. Compassion can be learned from those who mentor it before us, and can also be received from the Holy Spirit who shares Jesus’ compassion with us. I once watched a documentary about Mother Teresa and during the film, she shared that as she helped the poorest of the poor, she was also helping Jesus who is in them. She was reminding us of His needs, His suffering, His poverty, and His identification with those who call on Him for help. The Spiritual Disciplines Handbook had a suggestion for those on the journey. “Consider who the outsiders and disenfranchised are in your community. Choose one of these groups and find out something about them. What do they need? What do they have to give? Where is God calling you to walk in His compassion?” May God guide us as we live our lives in the light of His Love. Thank you for your beautiful examples of compassion. Imagine for a minute what could be said at your funeral if those speaking were a relative, a fellow church member, a co-worker, and a neighbor. What would they HONESTLY say about you? This could provide a much needed perspective for most of us. A perspective that wouldn’t be biased and one-sided. 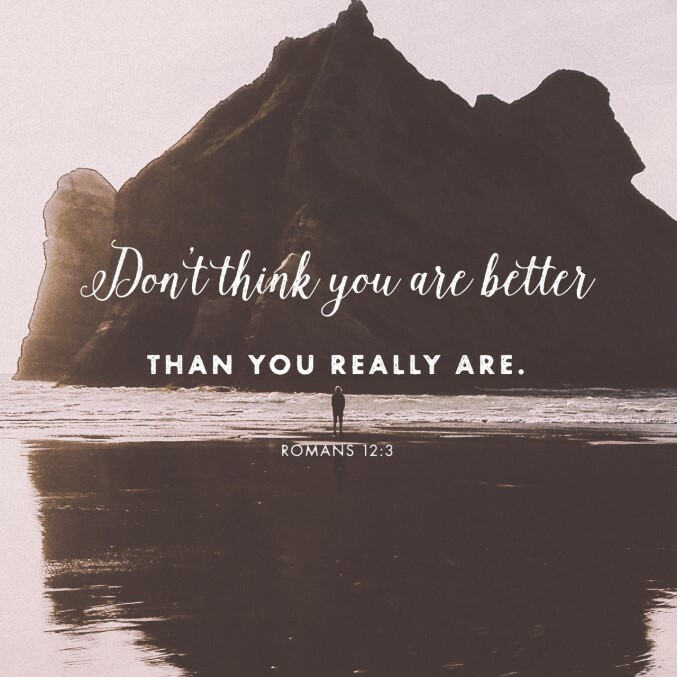 Remember that God, through Paul said, “I tell everyone among you not to think of himself more highly than he should think.” Romans 12:3. Nothing like the approaching end of life to get someone to hold themselves accountable, right? 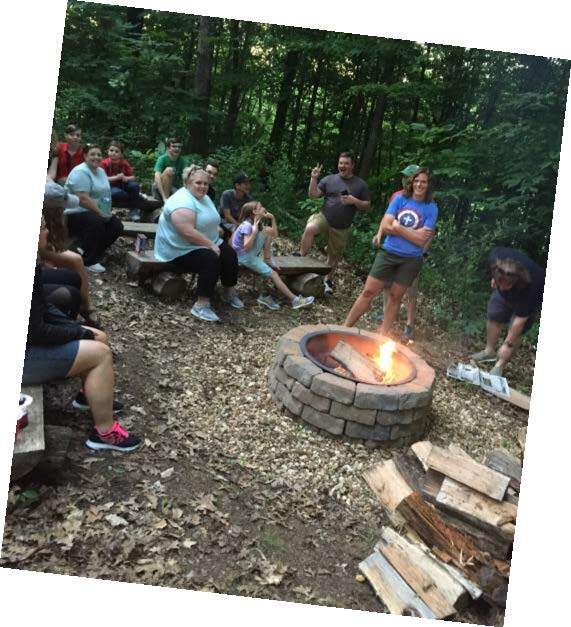 Our students had a great time at the bonfire on Sunday night, hanging out and making s’mores and hotdogs around the campfire. Thanks to the many adults who helped with this event! Continue praying for our prospective Youth Pastor. Turn in registration form asap. This study is being taught on Wednesday nights at 6:30 p.m. in the Alathean/Bonoth Classroom. It is written by Priscilla Shirer, and led by Sharon Kidd. The class on I and II Timothy is being taught on Wednesday nights at 6:30 p.m. in the Men’s I Classroom. The teachers are Joe Allen, Felix Taylor, and Tommy Houchens. Sarah Bivins will be teaching this four-week class beginning Wednesday, July 11, at 12:00 p.m. This nine-session class will begin on Tuesday, July 10, at 3:00 p.m., in the Mary/Martha Classroom. 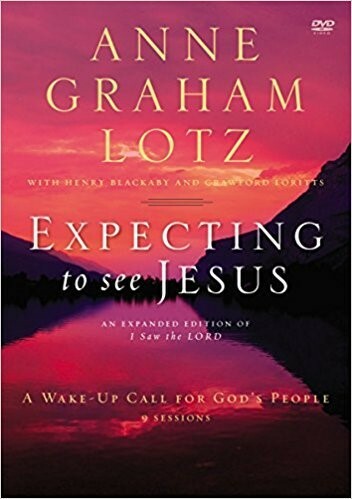 It is written by Anne Graham Lotz, and led by Sabra Huff. We are asking God to move on hearts to expand our house. We have enjoyed this present facility for over 20 years but it is time to expand and to improve. I have heard from many of you as you have expressed your hopes for this time in our church life. 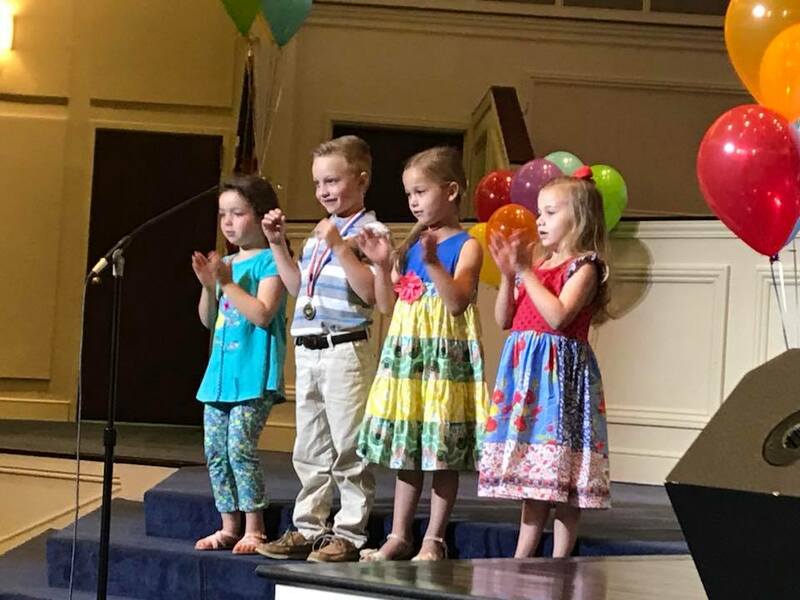 We feel that this is an investment in young lives that will pay great spiritual dividends. 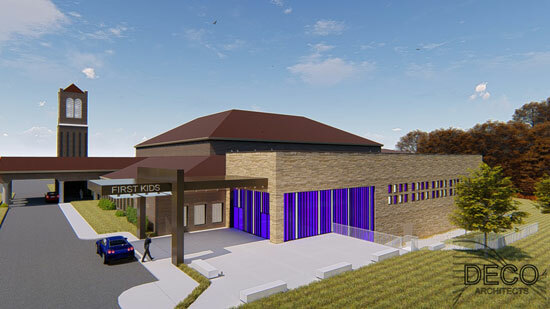 We will be getting some bids on the construction and will be looking at design changes that may need to be made to accommodate some of our future needs. We believe the growth we have seen this year is just a foretaste of what is yet to come. Thank you for your prayers and ideas. We are listening and want you to be praying about what you can give for this campaign. Thank you in advance for all you are going to do! These ponderings were re-enforced for me as I listened to Bishop Michael Curry preach at the Royal Wedding in England on Saturday. 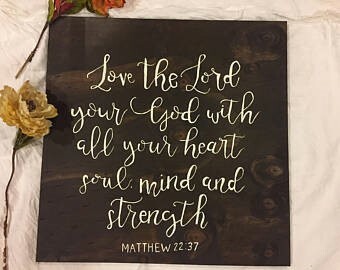 He quoted Jesus’ words in Matthew 22:37-39, about our responsibility of love and he called everyone to imagine a world where loved is lived out in every situation. It is never too late to start. 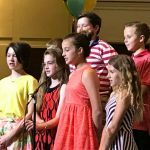 He closed with this blessing, “God bless you and may God hold us all in the Almighty hands of love.” So I ask you to join me in considering the desire of our choir member compared with the words of Jesus. It will make His Bride even more beautiful, His Kingdom to come and His will to be done, on earth as it is in Heaven. God’s blessings be with you all. When Pastor Gregg began the Lord’s Prayer series, he talked about God as our “daddy” and I’m sure many of you thought about your Dad. I know I did. Many things ran through my mind. First time I ever went fishing, he took me. First time I rode a bike by myself, he held me up and got me started. First time I held a rifle, my Dad put it in my hands. The first time I saw a grown man cry, it was my Dad. The best part about those tears is that they were tears of joy – my Dad had just accepted Christ. I was 8 years old and wasn’t quite sure why he was crying, when he was so doggone happy! I also learned that a man can give up bad habits and replace them with good ones. My Dad smoked 4 packs of Salem cigarettes everyday, but when God saved him, he went home and threw every pack in the garbage and never smoked again. The very next day, he replaced those “cancer sticks”, as he called them, with God’s Word and I’ve never forgotten that experience. Unfortunately, as I got older my relationship with my Dad deteriorated. Part my fault, part his. But we reconciled before he went to be with the Lord and I’ll forever be grateful to God for that. Regardless of what happened with your earthly father, your Heavenly Father wants a relationship with you. He wants you to be like Him in every way that you can. If your relationship with God comes apart, it will never be His fault. He knows we will need His help to reconcile, but He is always there with open arms to welcome us back. In Isaiah we read these words, “Yet Lord, you are our Father, we are the clay and you are our potter, we all are the work of your hands.” Isaiah 64:8 CSB. If you allow our Heavenly Father to change you, you will NEVER be the same. Thanks to our church family for donations, flowers, food, cards, visits, and prayers during our loss of our mother, Louise Walden. Also, a special thanks for the delicious meal after the service and to those who prepared and served it. 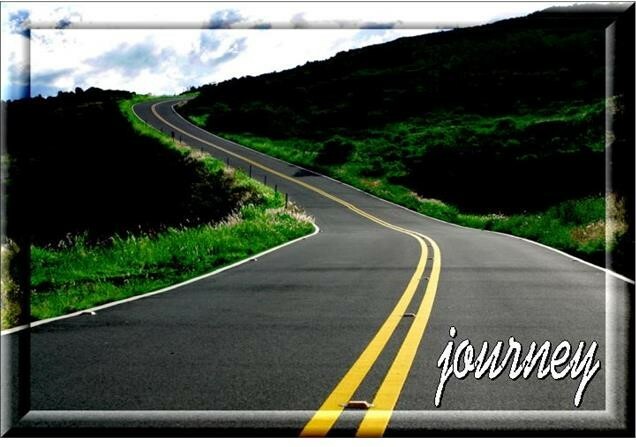 Our Journey class will not meet during June, July and August. We will resume classes in September. If you would like to sign up for a fall class, see Terry Bryant or Connie Hensley. To Be Where You Are large print edition was given by Ron and Janis Cunagin in memory of Louise Walden.